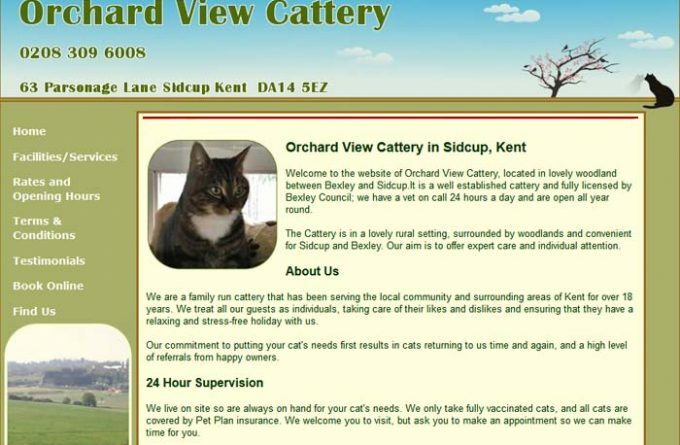 Convenient for cat owners in South East London, Orchard View Cattery is located on the edge of quiet woodland between Bexley and Sidcup in Kent. Cattery accommodation is provided by penthouse-style chalets, each having a heated sleeping area and access to a covered outside run. For more information about Orchard View Cattery, you can visit them in person, visit their website, telephone or send them an email (if available) using the form below.